Our medical-grade Alpha Hydroxy Acid Peel & Facial takes your anti-aging treatment to the next level – transforming and revealing your best skin. Priori delivers a perfect balance of strength and gentleness, which will strip away the dead cells, maximizing penetration and absorption of your home care, optimizing the investment of your anti-aging dollars. Experience this luxurious facial with our superior Phytobiodermie line that is used in some of the finest spas in Europe. We use botanical extracts to deliver results you can see and feel. Our Zenergize Facial is layered and customized for the three major skin types to minimize the effects of sun and age on your skin. 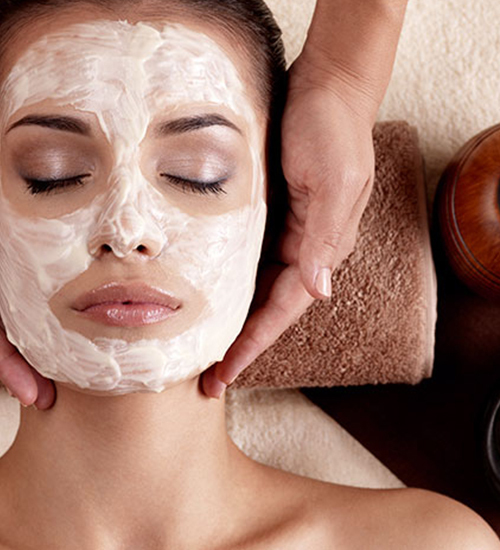 An intensive cleansing and mask with extractions to reveal beautiful young skin to best advantage. Our High-Frequency Instrument soothes and calms redness. This one-two punch prevents and alleviates redness and irritation to allow your skin to heal and you to look your best. Wonderful for Rosacea and Acne! This dynamic duo of aesthetics combines Collagen with Elastin to improve elasticity and increase dewiness. Targets free radicals with an intensive anti-oxidant and moisturizing orange extract formulation. Photo Facial/Photo Rejuvenation Therapy is often called “The Lunchtime Facelift.” The light-emitting diode deploys an intensive pulsed light which utilizes red and infrared light. It minimizes the appearance of Wrinkles, Sun Damage and Rosacea and reduces wrinkles and fine lines via collagen remodeling. Unlike laser therapies or plastic surgery, this is a non-abrasive treatment, so there is no downtime. Since this is not a laser-based therapy, this procedure works safely and equally well on any type of skin tone. It also benefits both men and women. For more information on this skin therapy, click on the link below.